It looks like the jury has voted to convict in the FirstPlus Financial racketeering fraud trial. But at this point we don't know which one -- or how many -- of the seven defendants have been found guilty. Jury deliberations resumed this morning in the six-month old trial. But questions submitted by the anonymously chosen jury panel to Judge Robert Kugler last week offer some insight into the process and have given rise to speculation that the panel has voted to convict someone. In a note sent Thursday afternoon, the last day of deliberations last week, the panel wrote: "We are unanimous on some counts, but we are not unanimous yet on others (the word "yet" was underlined twice in the note). 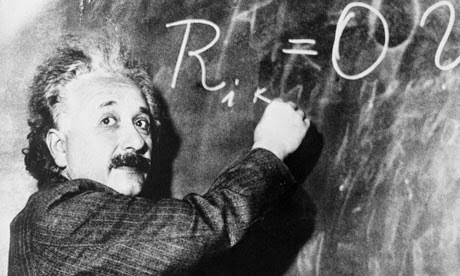 Are we under any time constraints to reach unanimity?" That question, coupled with an earlier inquiry about the way to respond to the racketeering conspiracy charge, has led to speculation that the jury has voted to convict at least one and possibly more of the defendants on the principal count in the 25-count indictment. All seven defendants are charged with conspiracy. "It doesn't look good," said one member of the defense camp last week. The jury completed a fourth day of deliberations this afternoon without reaching a verdict in the FirstPlus racketeering fraud trial of Nicodemo S. Scarfo and six co-defendants. 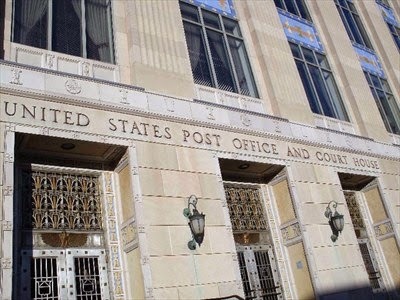 The anonymously chosen panel of seven women and five men is expected to return to the U.S. District Courthouse in Camden at 9 a.m. tomorrow to resume the process. The panel sent a question to Judge Robert Kugler late in the day that led to some speculation about where the panel is headed. The question had to do with the interrogatories or predicate acts listed to support the racketeering conspiracy charge that heads the indictment. All seven defendants are charged with conspiracy. The government has to prove at least two of the predicate acts as elements of the conspiracy charge. In response to its question, the panel was told it had to be unanimous in finding two of those acts proven. On Thursday June 12th, the new owner of The Philadelphia Inquirer, H.F. "Gerry" Lenfest, was still on vacation in Europe. Meanwhile, back in Philadelphia, Brian Tierney was convening a meeting in the office of former Inquirer Publisher Bob Hall. For an hour, Tierney questioned four top officials from Philly.com about a dip in numbers regarding website traffic. The officials explained that two years ago in a re-design, Philly.com had eliminated some old gimmicks used to inflate web traffic. Gimmicks that use to fly back when Tierney was publisher. Such as counting each photo in a 20-page photo gallery as separate page views. And counting different pages of the same story as different page views. But Tierney wasn't interested in hearing excuses. In a demeanor described by people in the room as "bullying" and "domineering," Tierney made it clear to the folks from Philly.com that he was only interested in hearing how they were going to raise those numbers. "It was just frustrating," said Matt Romanoski, Philly.com's executive producer for sports. "Right off the bat, he [Tierney] almost sounded like he was preparing, like he seized on something that he could fire us for." After nearly six months of testimony and more than a week of detailed and grueling closing arguments, jury deliberations are set to begin in the FirstPlus Financial racketeering fraud trial of mobster Nicodemo S. Scarfo and six co-defendants. Donald Manno, Scarfo's former criminal defense attorney and a co-defendant in the case, completed his closing arguments this morning. 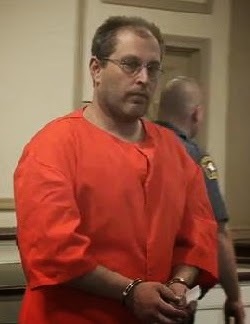 Manno, who is representing himself, was the final defense attorney to address the anonymously chosen jury panel. A rebuttal closing argument this afternoon from the prosecution completed the argument phase of the trial, setting the stage for the start of deliberations tomorrow. Manno was detailed and highly effective yesterday afternoon when he spoke to the jury for about an hour. The one-time federal prosecutor, who referred to himself in the third person, told the jury to consider the facts and not the "diversions, distortions and false circumstantial evidence" around which the prosecution has built its case. "Don Manno was not involved in any conspiracy," he told the jury. The new owner of The Philadelphia Inquirer, H.F. "Gerry" Lenfest, wasn't back yet from his vacation in Vienna and Berlin. 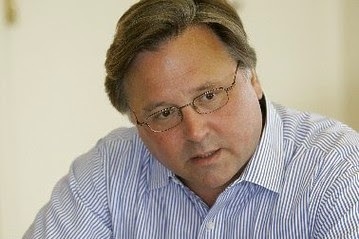 While Lenfest was away, leaders of the Newspaper Guild of Greater Philadelphia, which represents approximately 500 of the newspaper's 1,800 employees, were trying to talk Drew Katz, son of the late Lewis Katz, out of his announced intention of selling his father's $16 million stake in the company to Lenfest. Meanwhile, in the absence of leadership, Brian Tierney, Lenfest's newly appointed sales consultant, was holed up in former Publisher Bob Hall's office, and reportedly throwing his weight around like he was running the place. "I saw more people crying yesterday," said Bill Ross, executive director of the Newspaper Guild, after he toured the newspaper. According to Ross, three top executives at the newspaper quit yesterday because they couldn't deal with Tierney, or his lieutenant, Mark Frisby. At the Inky, sold last month at a court-ordered auction for $88 million, they're running Associated Press and Washington Post stories on the front page. While inside the newspaper offices at 8th and Market, it's panic and uncertainty over what will happen next. 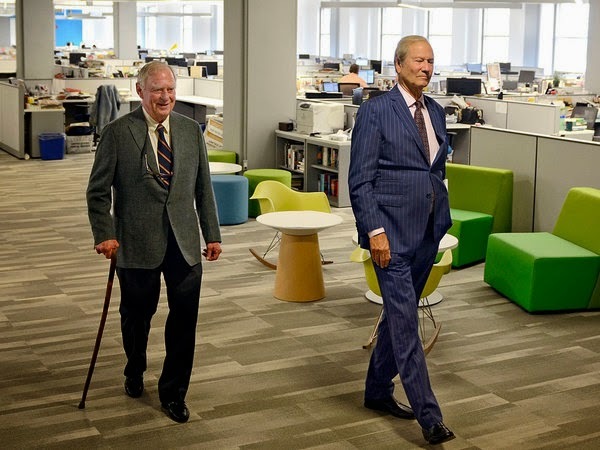 In the moments after Lewis Katz and H.F. "Gerry" Lenfest won the May 27th auction to buy The Philadelphia Inquirer for $88 million, Katz told Lenfest he wanted his son, Drew, to be a partner in the venture. According to a source, Lenfest's reply, in the presence of Katz's son, was no way. Less than 20 minutes in, the Katz-Lenfest partnership was already at loggerheads. Four days later, when Lewis Katz was killed in a May 31st plane crash, relations between Drew Katz and Gerry Lenfest got worse. Lenfest, according to the source, didn't pick up the phone to call Drew Katz to tell him he was sorry about his father's death. He didn't even call Drew Katz to discuss Lenfest's future plans for the company, plans that supposedly included Drew Katz taking over for his father. Instead, on the eve of Lewis Katz's funeral, Gerry Lenfest left the country. 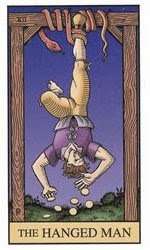 He flew to Europe, from where he granted media interviews and issued edicts on what he was going to do with the Inky. Without discussing any of it with Drew Katz. She listened to two days of testimony in the Anthony Nicodemo murder trial last month and said she wasn't buying the defense argument that Nicodemo was carjacked and became an unwitting getaway driver in the murder of Gino DiPietro. "The story about the carjacking was absurd," the former Common Pleas Court panelist wrote in one of several e-mail exchanges with Bigtrial.net. She also said she surmised the shooting was a mob hit even though the judge had barred any mention of organized crime. And she correctly assumed that Nicodemo was being held without bail and that he was able to afford a high priced defense attorney. The juror agreed to share her insights from the two days she heard testimony, but asked to remain anonymous. She was the first of three jurors dismissed during the case which ended in a mistrial on May 20. Lawyers for the defense and prosecution are to meet with Judge Jeffrey P. Minehart Thursday for a status conference during which a new trial date could be set. U.S. District Judge Ronald L. Buckwalter on Friday struck down an extremely rare "jeopardy assessment" levied by the IRS against former state Senator Vincent J. Fumo. In a 63-page memorandum, the judge granted summary judgement to the plaintiff in the case of Vincent J Fumo v. United States of America. Under the jeopardy assessment, which the IRS typically uses to combat money launderers and international fugitives, the IRS had frozen three of Fumo's bank accounts totaling more than $2.7 million. The judge, however, said the imposition of the jeopardy assessment was "not reasonable" because Fumo, sitting in jail at the time, did not attempt to hide any transactions of property and money to his son and fiancee. Nor did he place any assets "beyond the reach of the government," the judge wrote. "The jeopardy assessment made against [Fumo] shall be abated and all liens and levies filed pursuant to it shall be released," the judge declared. "It's wonderful to be entirely vindicated by a court of law." said Mark E. Cedrone, the tax lawyer who represented Fumo. He wasn't a gangster. He was a turnaround expert. And if the government had just left him alone, Salvatore Pelullo would have turned FirstPlus Financial, a struggling Texas mortgage company, into a profitable business enterprise. 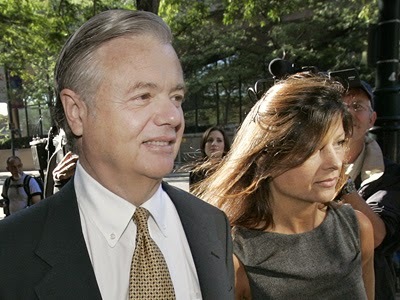 That was the message, accompanied by nearly 100 slides and a heavy mixture of passion and sarcasm, that Pelullo's lawyer, Michael Farrell delivered to a federal jury today in a highly charged summation that offered a decidedly different view of the testimony and evidence from the one presented by the prosecution during the five-month trial. The government, Farrell said repeatedly, failed to back up its charge that Pelullo and mobster Nicodemo S. Scarfo looted the company after secretly taking control of its board of directors in the summer of 2007. A federal prosecutor used mobster Nicodemo S. Scarfo's own words today to describe the alleged takeover and looting of a Texas-based mortgage company that is at the heart of what authorities charge was a $12 million scam orchestrated by Scarfo and his business partner Salvatore Pelullo. 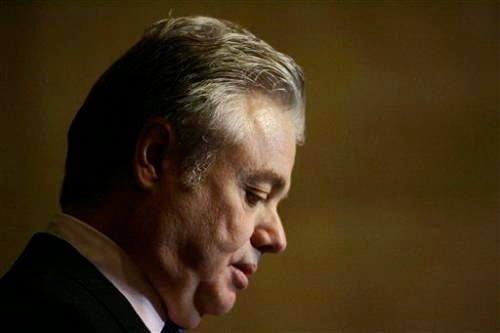 "Layers upon layers, like an onion," Scarfo, 48, said in a secretly recorded telephone conversation with Pelullo, 46, that was picked up on an FBI wiretap back in 2007 as authorities contend the takeover of FirstPlus Financial was unfolding. For nearly three hours today, Assistant U.S. Attorney Stephen D'Aguanno, the lead prosecutor, detailed the allegations in the racketeering conspiracy case against Scarfo, Pelullo and five co-defendants. D'Aguanno said underneath those layers of the onion -- false SEC filings, phony stockholder reports, bogus consulting contracts and fraudulent business purchases and expenses -- was the financial scam that poured millions into the pockets of the two lead defendants. 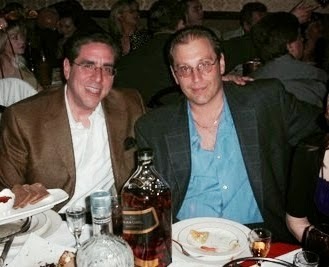 "They're joined at the hip, from their criminal activities to their alleged business activities," D'Aguanno said of Scarfo and Pelullo, who frequently referred to each other as cousins even though there was no blood relationship. 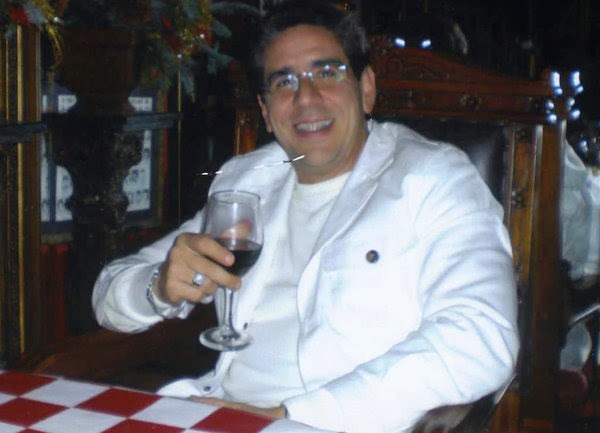 Closing arguments are expected to begin tomorrow morning in the multi-million dollar fraud trial of mobster Nicodemo S. Scarfo, his business partner Salvatore Pelullo and five co-defendants. Assistant U.S. Attorney Steven D'Aguanno is scheduled to address the jury after Judge Robert Kugler completes a lengthy explanation of the laws that apply in the case. Kugler began his jury charge today and spoke for about three hours. He will likely spend another hour before turning the case over to the prosecution for its final arguments. The complicated case revolves around allegations that Scarfo, 48, and Pelullo, 46, secretly took control of FirstPlus Financial, a troubled Texas mortgage company, in 2007 and then systematically siphoned nearly $12 million from the firm throughout phony business deals and bogus consulting contracts. It's a tough time at The Philadelphia Inquirer. 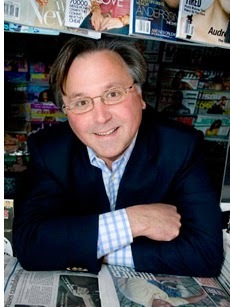 First, new co-owner Lewis Katz, who just bought the paper in a court-ordered auction last week, died tragically in a plane crash Saturday night at an airport in Massachusetts. Then, employees came in to work this morning and discovered that Brian Tierney, the guy who crashed the newspaper in bankruptcy court five years ago, was back at large in the building. That's the same Brian Tierney who paid himself a $350,000 bonus while his two Philly newspapers were going under. 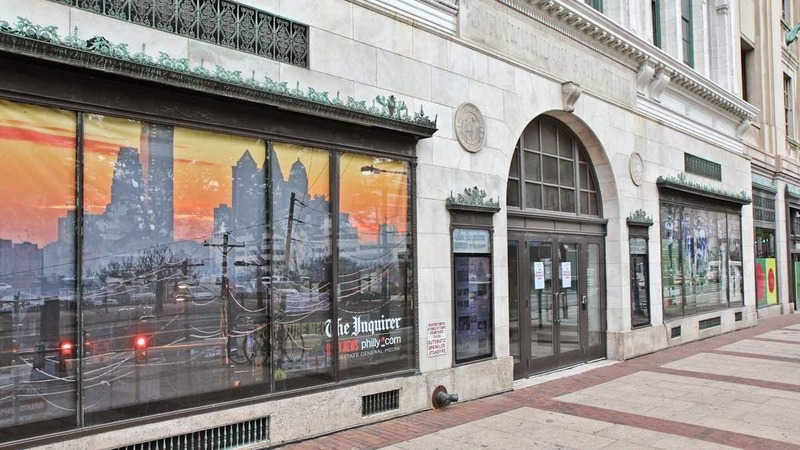 The same Brian Tierney who as the former Inquirer CEO and publisher asked the bankruptcy court to dismiss a $50 million payment due the pension fund of the Newspaper Guild of Greater Philadelphia. [The Guild subsequently collected $170,000 on the debt of $50 million, while lawyers in the bankruptcy collected some $40 million.] The same Brian Tierney who was brought back as a sales consultant last year, collected $87,500 in salary over four months, and in exchange, brought in exactly $0 in revenues. Yep, with those sterling credentials it's hard to believe anybody would want to bring Tierney back to the city's paper of record, except for target practice. But the new surviving co-owner, 82-year-old H.F. "Gerry" Lenfest, announced this morning that one of his first personnel moves was to bring Tierney back as "an advisor to me focusing on advertising."